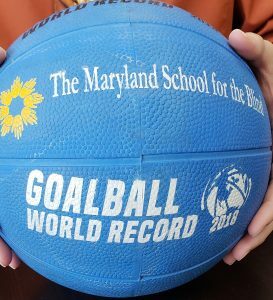 The Maryland School for the Blind has officially set the Guinness World Record for the longest continuous game of Goalball, according to the Guinness World Record organization. Teams consisting of MSB students and alumni as well as collegiate, adult and Paralympic athletes attempted the feat on December 7th and 8th, 2018 by playing the physically challenging game for 25 hours and 30 seconds. There was no prior record for this attempt, but the Guinness World Record organization reviewed the rules of the sport and set a 24 hour parameter for the first-ever attempt upon receiving the application from MSB. The MSB organizers added an hour to the minimum requirement and set a team goal of 25 consecutive hours. The team achieved their goal with an official time of 25 hours and 30 seconds. Officials from the Guinness World Record organization reviewed the evidence submitted by MSB, the event officials and witnesses following the event to determine if the record was indeed set. MSB was informed of the official decision on January 7, 2019. 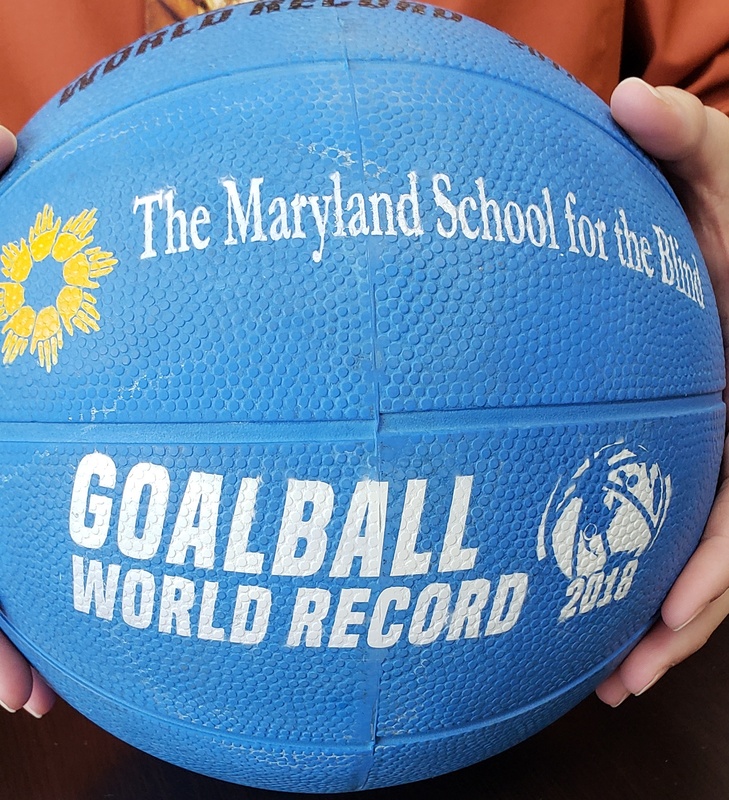 The purpose of this event was to raise awareness of The Maryland School for the Blind, disability sports, unite our community, advocate for people with disabilities, and showcase the game of goalball by setting a Guinness World Record. We are so proud to have accomplished this incredible goal. It is an amazing achievement for our school and for the blind/visually impaired community at large. We thank everyone who supported us in this effort including our event organizing committee, sponsors, donors, staff, students, volunteers, officials, coaches and most importantly the 12 athletes who worked so hard to make it a reality. The Board of Directors of MSB has announced that W. Robert Hair will assume leadership of the school effective September 1, 2018. Mr. Hair will replace Dr. Michael J. Bina, who has served as President since 2008.